Download now and enjoy our FULL CASINO! Slots, Blackjack, Poker, Roulette + Bingo! Download for FREE for a limited time only! 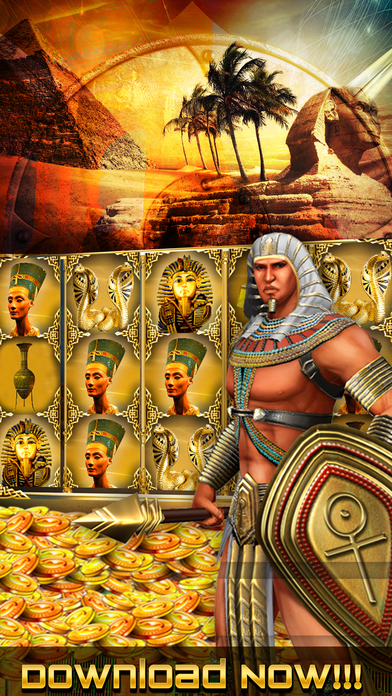 Our slots are voted BEST NEW SLOTS for iPhone, iPod or iPad. Our latest slot is a «Casino» themed game that features High Definition and High Resolution graphics such as the Bingo, Poker Chips, Dice, Blackjack, Roulette, and Triple 7 slot reel symbols. Spin for five «Triple Money» symbols and WIN The Jackpot! The realistic spinning slot reels simulate a real mechanical slot machine with real slot winning percentages that average a 95% payout rate. You can progress through up to 18 levels. At the completion of each level you will be presented with the variety of Bonus Games that you can play with an opportunity to earn FREE coins! Check back every 2 hours for a chance to win more Bonus Coins! Match 3 or more «Scatter» symbols and win 10 free spins! Up to 20 pay lines allows you greater chances to win. ► Play Slots, Blackjack, Roulette, Poker or Bingo! Full Casino!! ► Free credits to get you started! ► Play and Bet on slots machines with amazing graphics. Get lucky! ► Exciting animations and cool effects! The high fidelity sounds of the slot machine make this app a great experience for the slot machine enthusiast. This game is intended for an adult audience (21+) and does not offer ‘real money’, ‘gambling’ or an opportunity to win real money or prizes. Practice at this game does not imply future success at ‘real money’ gambling. Play high quality slots offline for FREE and experience the real thrill of Las Vegas! Don’t hesitate and DOWNLOAD NOW!